Social Connect for Magento 2 is released under OSL-3.0 license. This free and open source Magento 2 extension is brought to you by DevGenii - A quality focused web development agency. Increase your Magento 2 store conversion rate by allowing customers to login, register and checkout using their social accounts (Facebook). Command line Composer based installation is preferred way of installing DevGenii Social Connect onto your Magento 2 store. This command line approach assumes you have SSH access for server powering your Magento 2 installation, basic knowledge of executing Linux shell commands as well as Composer installed on target server. Steps for taking this approach are outlined inside following sections. It can take couple of minutes for Composer to resolve all the package dependencies. Social Connect can also be installed manually by grabbing source code from official Git repository. This command line approach assumes you have SSH access for server powering your Magento 2 installation, as as well as basic knowledge of executing Linux shell commands. 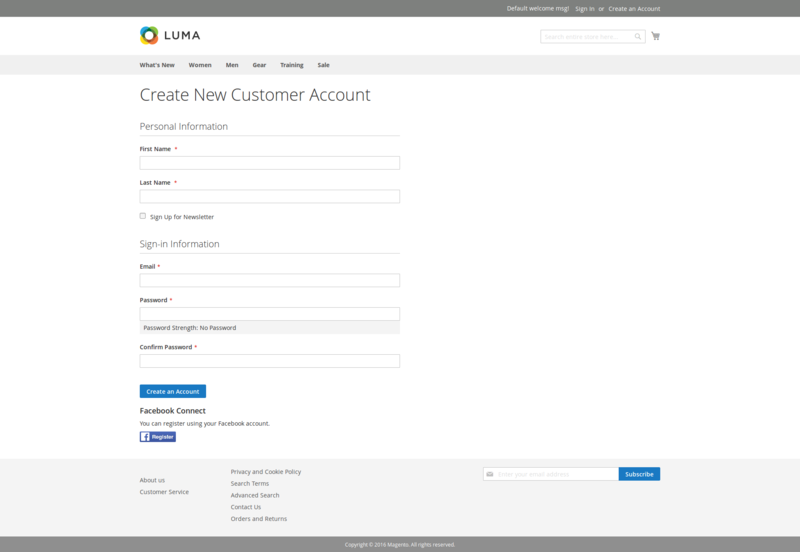 Social Connect uses Magento 2 database to store some of the data required for normal operation. To modify database structure to support this functionality, you must run setup scripts bundled with Social Connect as part of installation process. 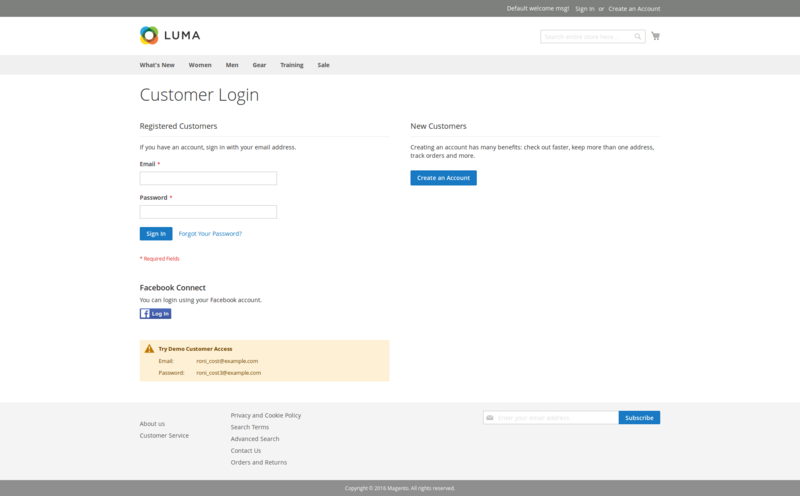 Before Social Connect can appear on your store frontend, it's required to configure it for communicating with authentication providers. This can be done in STORES -> Configuration -> Customers -> DevGenii Social Connect. This information is used to communicate with Facebook as part of authentication process and can be obtained from Facebook Developers portal by creating new Facebook app as described here. In order for Social Connect to work properly, process of creating new app at Facebook Developer portal will at some point request you to choose "Product Setup", where you must make sure "Facebook Login" is selected. 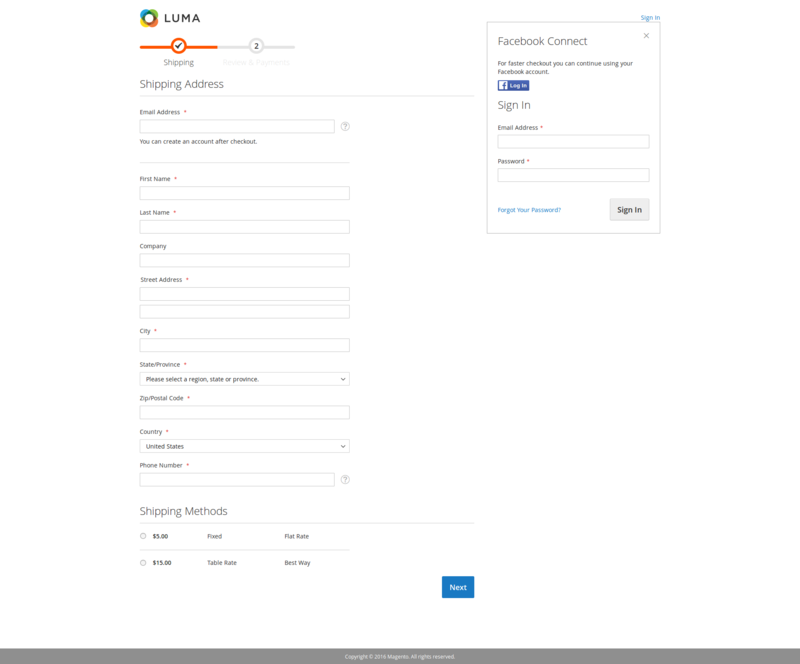 Furthermore, "Facebook Login" product requires you to enter "Valid OAuth redirect URIs" in order to work properly, something that's listed inside your Social Connect Facebook configuration section in Magento admin under OAuth "Redirect URI" label. Once you finish with creating and configuring Facebook app at Facebook Developers portal, you can store Facebook App ID and Facebook App Secret inside your Social Connect Facebook configuration section in Magento admin, allowing you to enable Facebook authentication provider. 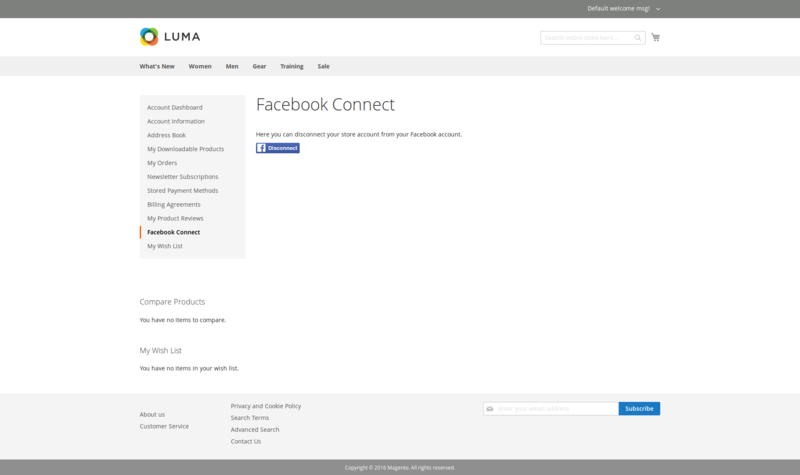 After saving your settings, Facebook Button will automatically appear at your Magento store login, create account and checkout pages (sign in dropdown).